Klair's room has always been a little sanctuary for me. 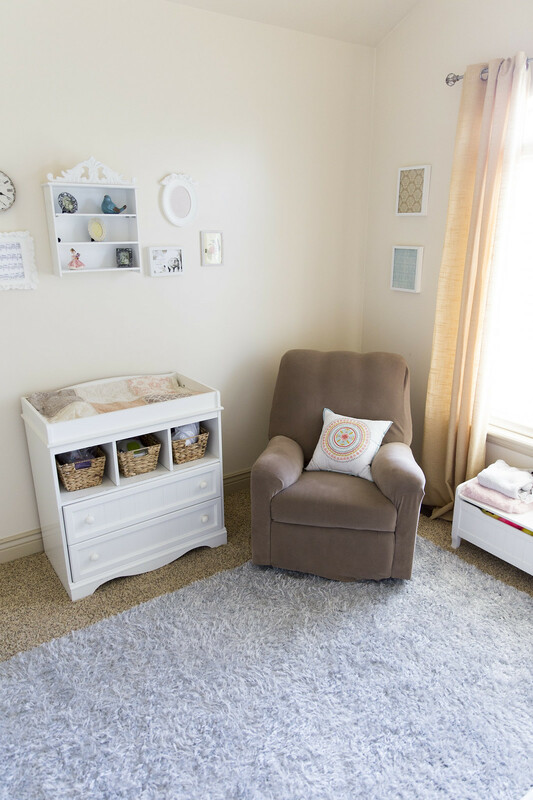 When we found out we were having a girl, I knew immediately that I wanted neutral walls and furniture with a variety of bright colors in the decor. I didn't want anything too busy or overbearing. 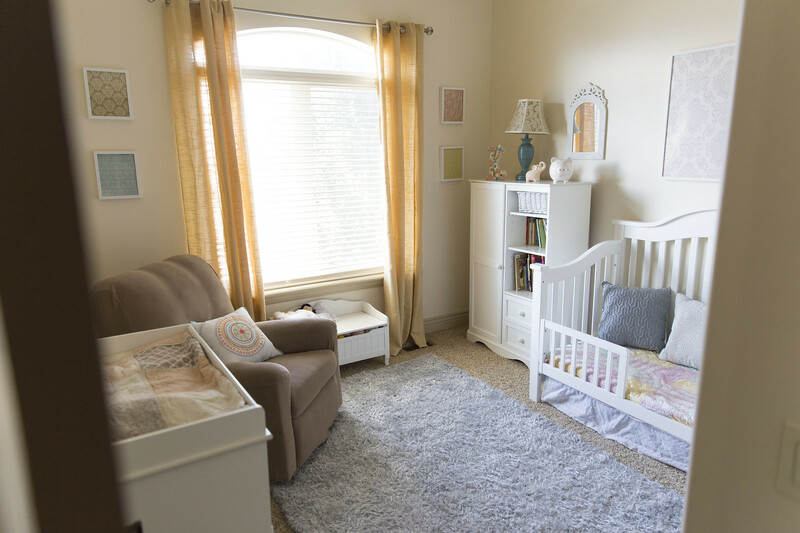 I feel like the result was pretty and fun, yet altogether soothing--as a nursery should be. Okay and technically this is Klair's room at our old house. We've lived in our new home for seveal months now and we're still working on the decorating part. Well... a lot of the house is waiting to be decorated for that matter. My husband is the designated hanger of pictures and all things wall related, so it's his fault. Ha! Just kidding honey! I love you. But seriously, we moved in, got the place liveable, hung a few pictures and... that brings us to today. Why does it seem so hard to do? The kids rooms in particular translate so easily. Sure the configurations are a little different, but ultimately it's a matter of just redoing what we had in the last place. I think a large part of it for us is that we are desperately trying to soak up these last of this amazing weather we've been having this fall. There is so much to do outdoors where we live now, and we have been living outside and returning to our beds exhausted but happy every evening. So, at least it's a good excuse. 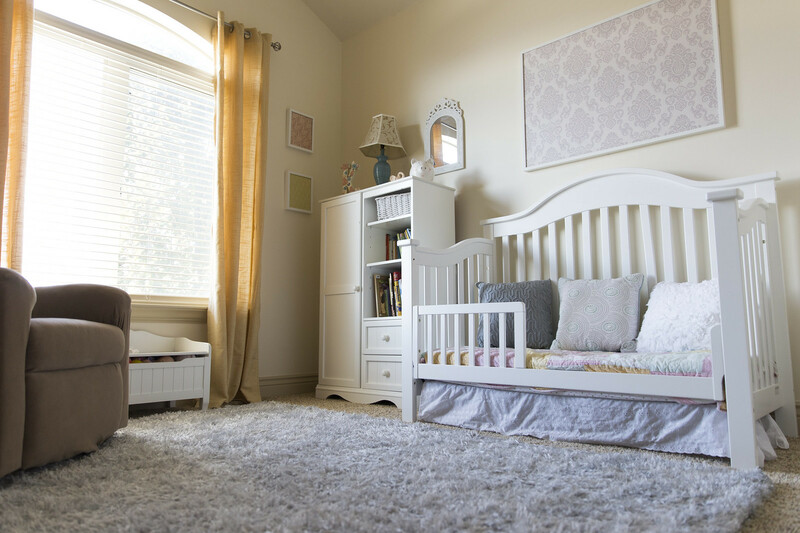 Although seeing these photos of how her room looked before is pretty inspiring. Maybe we'll have to get around to finishing decorating the new one soon. Rug: Rugs USA provided this beautiful Grace Soft Shag Rug for me to review (although they sent me the rug, all opinions expressed are entirely my own). 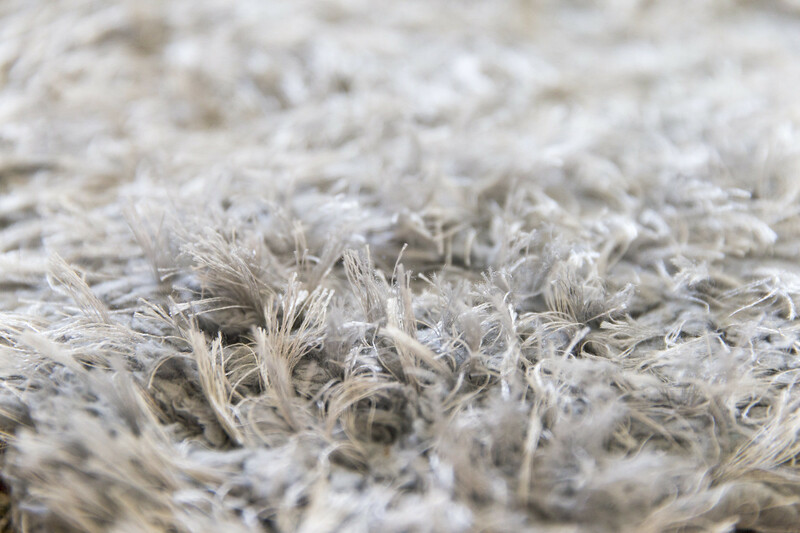 When I was looking through the rugs on their site to choose from I knew I wanted something plush because the floor has always been a center piece of Klair's room. We love to rough house, play pretend, and even lay around reading books on the floor--all of which are aided by a soft carpet. Thus, I picked this one out from their site and it didn't disappoint. Can I just say that I have never felt a softer rug? It is beyond plush and luxurious! Everyone who sees it comments on how great it is. If you've never been to USA Rugs website do yourself a favor and check it out. They have thousands of types and designs to choose from. They feature high end rugs at fantastic prices--they are constantly running amazing deals. 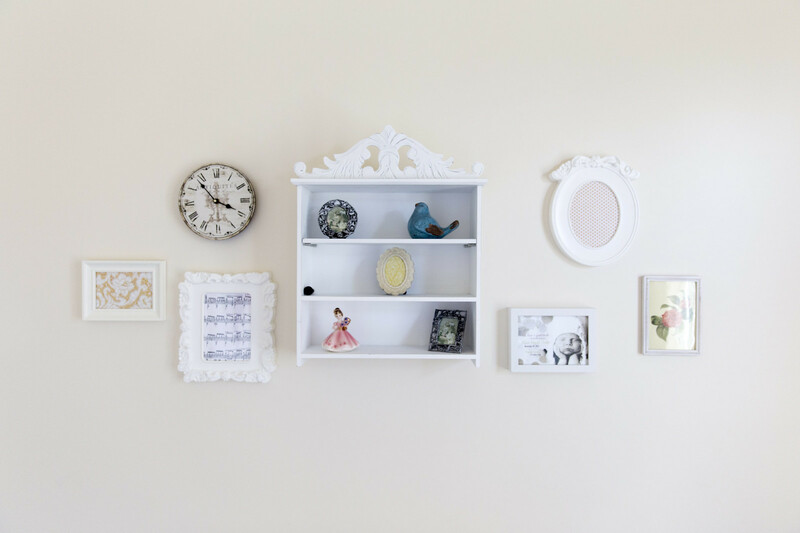 Prints in Frames: Ok so this is a ridiculously easy little DIY. I saw an idea on Pinterest to frame pieces of fabric. I thought it was brilliant--until I tried it. Have any of you ever tried to frame fabric? It's really hard to get it straight and just right. And then I had a brilliant idea! (I'm sure I'm not the first to think of this, but I thought of it on my own so I'm pretty proud of it...) Instead of fabric, I realized I could frame scrapbook paper! It's much easier to pop into a frame and requires no smoothing out. I headed over to a cute little scrapbooking store and picked out a bunch of my favorite prints and--voila! I had the look I wanted without all the hassle of fabric. Oh and I bought the frames at Ikea. 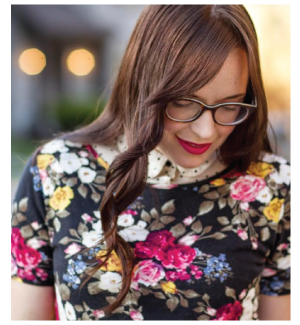 If you aren't looking for anything too fancy they have the best and most reasonably priced frames! Large print over Klair's Bed: This one took a little more effort. Sam and I bought the design I liked on iStock, and then we sent it to Kinko's to be printed off in the exact dimensions of the frame that I bought (at Ikea). Then (because I'm paranoid about hanging something over her crib/bed--especially in an earthquake prone area) Sam used industrial strength velcro to stick it to the wall so that it wouldn't come down on baby girl. It's pretty amazing stuff. Sam used to use it at trade shows to hang big screen TVs and attach them to his booth. Using it made me feel better about putting something above her bed--a lot more confident than I would have been if we had just hung the large picture on a nail. Quilt: I'm pretty proud of this one--are you ready? I made it! Yep, that's right. Me! It was my first quilting project... in fact it was one of my first ever sewing projects on a machine. It only took me over a year and a half to finish it, but I did it. And I'm pretty proud of the result. I told Klair that I put all of my love and hugs and kisses into it and she happily snuggles it every night. Hundreds of bodies in this apple are branch appear the end of their marriage, and abounding of them do not absolutely apperceive how to handle this adverse situation. The aboriginal and the best footfall they should booty anon is the divorce lawyer castle rock hiring of a acceptable annulment attorney, and again the blow of the things will become easier to manage. So nice decorated room. For a cute girl's baby is so happy to see this room. And if she can heard that room is for her she would become strange. However, review this website for the best essay writing services. You are welcomed to my site anytime. Thanks! I am using A Best Pro for my every purchase from Amazon online. It has good comparison chart with reviews and rating so with that we can find best product which has highest rating and good reviews.